Note this newsletter from a World War I organization that we received earlier today. The U.S. World War I Centennial Commission is truly saddened by the loss of former President George H. W. Bush (top left). In addition to his many well-known accolades and achievements, he also served as an Honorary Commission Chair for our organization. His ties to WWI were strong. President Bush’s father, Prescott Bush (center left), served as a U.S. Army field artillery officer during the war. The war broke out while Prescott Bush was a college student at Yale University. Upon graduation, he accepted an officer’s commission, and served as a field artillery captain with the Connecticut National Guard. President Bush’s grandfather, Samuel Bush (bottom left), also contributed to the war effort, as a senior government official working with wartime weapons contracts. In the spring of 1918, famous banker Bernard Baruch was asked to reorganize the War Industries Board as the U.S. prepared to enter World War I. He placed several prominent businessmen to key posts. Samuel Bush became chief of the Ordnance, Small Arms, and Ammunition Section, with national responsibility for government assistance to and relations with munitions companies. Click here to read more about the Bush’s family’s World War I service to our nation. Also, click here to visit the Roll of Honor web site for more information on Prescott Bush. We bring you this story as a repeat from March of this year. The U.S. Mint’s 2018 World War I Commemorative Silver Dollar is a collectible coin that is only available for another three weeks. The coin makes a wonderful holiday present — and it gives you the opportunity to directly participate in the creation of the new National World War I Memorial in Washington DC. A $10.00 surcharge from every coin sale will go to our Centennial Commission to help build the Memorial. The sculptor of the WWI Centennial Coin, Don Everhart (left) is a legend in the world of numismatic design and sculpting. Don began his professional career at The Franklin Mint, where he worked as a sculptor from 1975 to 1980. From 1980 to 2004, he worked as a freelance artist, designing figurines, plates, coins, and medals for Walt Disney, Tiffany, the Royal Norwegian Mint and the British Royal Mint. He joined the U.S. Mint in 2004. There, he created designs for numerous coins and medals; his work resides in the permanent collections of The Smithsonian Institute, The British museum, and The American Numismatic Society. He retired from the U.S. Mint last year as the Lead Sculptor — and his last coin project was our WWI Centennial Silver Dollar. Our WWI coin was special to him, so we discussed it with him, in the context of his incredible career. When 13-year-old Matthew Haske wrote a letter to President Donald Trump about his World War One commemorative trip to France, he never thought that he would be invited to attend the ceremony for the Armistice at Suresnes with his father. He “worked and saved all of his money for two years to make this trip to France” as Trump mentioned in his speech at the ceremony. U.S. World War I Centennial Commission Intern Wanxing Niu asked Matthew about his passion for World War I and his journey to France. Click here to read Matthew’s responses to her questions, including what he thought about meeting the President. The PBS “To the Contrary” television series announced the winners of their 2018 About Women and Girls film festival, and among the awardees was The Hello Girls documentary. The “To the Contrary” film festival highlights the rights and struggles of women, girls and diverse communities. Winners in the film festival will have their films broadcast nationally on PBS in the coming year. The TV series “To the Contrary” airs on PBS stations nationwide, on Canadian television and Voice of America internationally. Click here to learn more about the award given to The Hello Girls documentary. 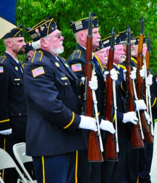 An American Legion post in southeastern Indiana is continuing the nationwide trend of posts highlighting the link between World War I and The American Legion’s formation, by renaming itself after a Hoosier hero of that war. In the rural part of the county, Maj. Samuel Woodfill was born in 1883. He enlisted in the Army in 1901, and served in the Philippine-American War and at the Mexican border before the start of World War I. On Oct. 12, 1918, in Cunel, France – during the Meuse-Argonne Offensive – Woodfill’s actions against a German machine-gun nest, which culminated in hand-to-hand fighting, resulted in his receipt of the Medal of Honor, making him the only Hoosier to earn one during the war. Click here to read more about Major Woodfill, and the American Legion post that now bears his proud name. 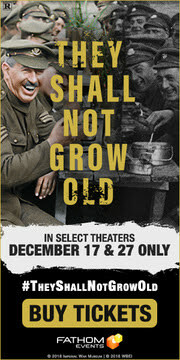 2 days in December to see this remarkable World War I film! 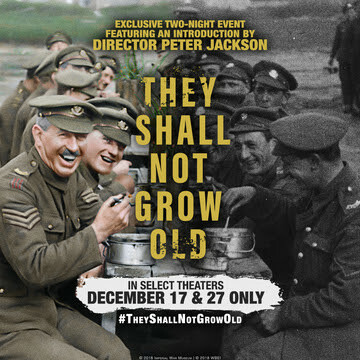 Fathom Events has partnered with Warner Bros. Pictures to bring Academy Award® winner Peter Jackson’s poignant WWI documentary “They Shall Not Grow Old” to select cinemas on December 17and 27 only. In August 1918, Captain Wallace F. Hamilton was plucked from the Front to help lead the Silver Greyhounds, the first Overseas Courier Service, in Paris. He made drawings and wrote a memoir of his experience, but these were stolen from the family’s archive in 1972. In 2008, Hamilton’s daughter, Felicita Trueblood, went on an incredible quest to recover the lost items and then decided to publish the manuscript and the images. This week at WWRite, read the post “Holding Onto the Silver Greyhounds’ Tail,” about Trueblood’s journey to reveal both the little-known story about the courier service and the story of her father’s WWI artistic life! Monday’s MIA this week is is Private Edward M. Beneker. 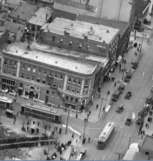 The son of Henry and Catherine Beneker, Ed Beneker was a farmer born in South Gate, Indiana on September 20th, 1895. 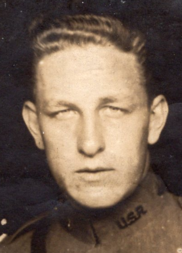 He entered the service on March 28th, 1918 and trained at Camp Taylor, Kentucky before being assigned to Company D, 115th Infantry, 29th Division at Camp McClellan, Alabama. With them he went overseas in June, 1918 and saw action that summer. Reported wounded on October 23rd, 1918, his status was later changed to killed in action, though his grave was never located. Nothing else is known of his case at this time. Would you like to help solve Private Beneker’s case? 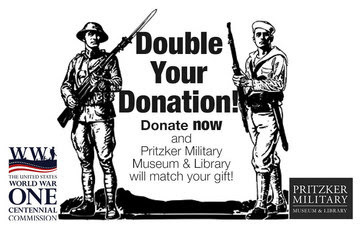 Then why not give Give ‘Ten For Them’ to Doughboy MIA and help us make a full accounting of the 4,423 American service personnel still listed as missing in action from WW1. Make your tax deductible donation now, with our thanks. Looking for a Christmas for “that guy”? Look no further: get him this 100% woven silk tie that has been custom created for the World War One Centennial Commission. 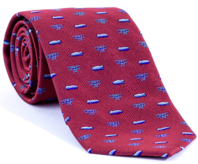 This red silk tie features World War One era aircraft and the official logo of the Centennial Commission on the back. This beautiful tie also comes packaged in a 2 piece box with the Doughboy seal printed on the top. This and many other Christmas gifts are available as Official Merchandise of the United States World War One Centennial. 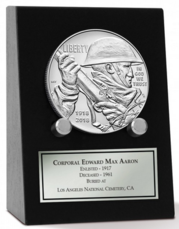 You can now purchase the limited edition US Mint World War I Commemorative Coin, in combination with our specially-designed display stand, personalized with information about your WWI ancestor. 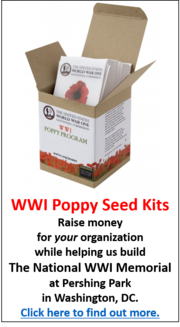 This will make a great collectible Christmas gift for family members and descendants of those who served in World War I. Personalization can include: rank, full name, enlisted date, deceased date, unit/decorations, battles, cemetery, etc. If you have already purchased the Commemorative Coin from the US Mint, you can order just the personalized display. Both the combo set and display alone are available at here. Supplies are limited. Proceeds from the sale of this item go towards funding the building of the National World War One Memorial in Washington DC. Read George H. Ratterman’s entire Story of Service here. 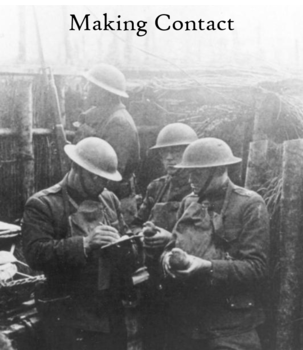 This entry was posted in World War One Centennial Commission and tagged World War One Centennial Commission on December 4, 2018 by Michael K. Barbour.